ICTBroadcast is multi tenant, unified communications and telemarketing software solution supporting Voice, SMS, Email and Fax broadcasting. ICTBroadcast has very powerful feature of real-time graphical reports. These reports can be found in summarized form as well as detailed form. 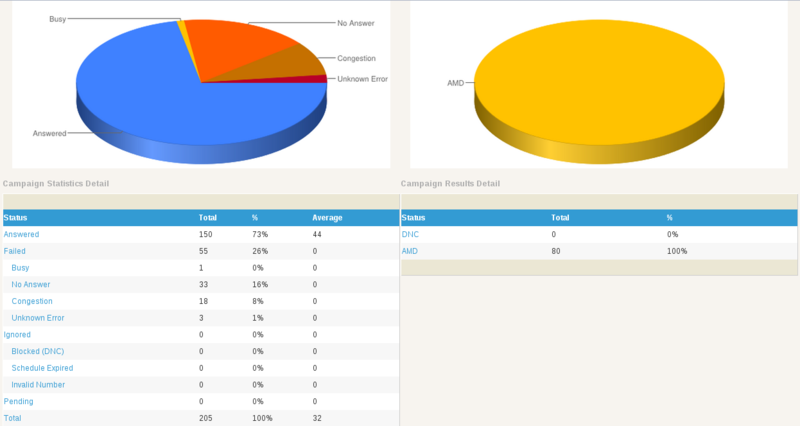 Every campaign has summarized form of the reports with basic statistics and charts. Summarized report then links to each section of detailed report of a campaign. 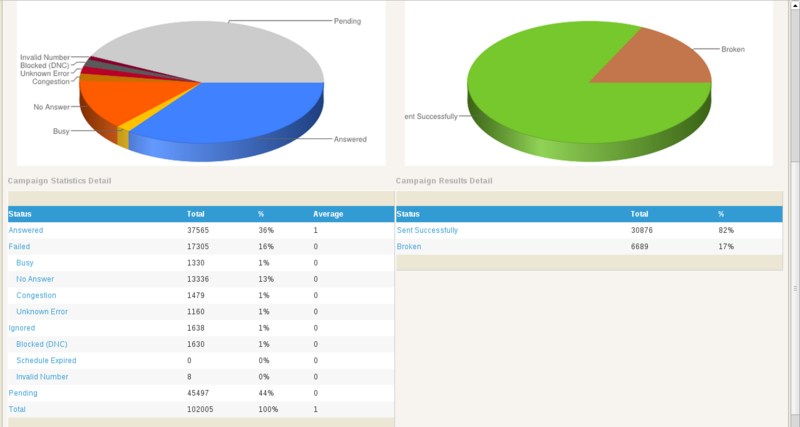 Different types of campaign in ICTBroadcast has different many statistics to show in reports. For example, survey campaign shows report in the form of question and its answer options and how many call recipients chose a particular choice.